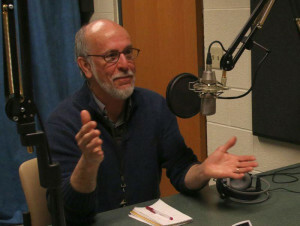 On March 29, 2015 David Figura was interviewed on the, “The Campbell Conversations,” on WVOR public radio radio from Syracuse, NY. Host Grant Reeher and David discuss how regional topics pertaining to wildlife, the environment, the effects of our hard winter, the NY-SAFE Act and, of course my book, “So What Are the Guys Doing?”, which explores men dealing with middle age. Listen to the recording on the The Campbell Conversations website (23 minutes).